Today and yesterday Robyn and I were stuck inside working on curriculum. It took us two days to redo one unit, but the exciting part is, it is going to be a good one. We are super excited to start off the new school year with a strong unit of study resulting in creating public service announcements on homelessness. Now I can officially start summer vacation! Wohoo! In other news, I am thrilled to share with you my updates on Facebook. A special thank you to my bloggy friend, Mrs. Fultz, for making a great video tutorial. It took me no time to make a "Fans Only" tab and a "Shop TpT" tab, buttttt I will admit that after I added the tabs to my page they disappeared and I had to redo them. I am also having trouble seeing the tabs from my iPad view, but they really are there, so if you are on an iPad, check it out on a computer. 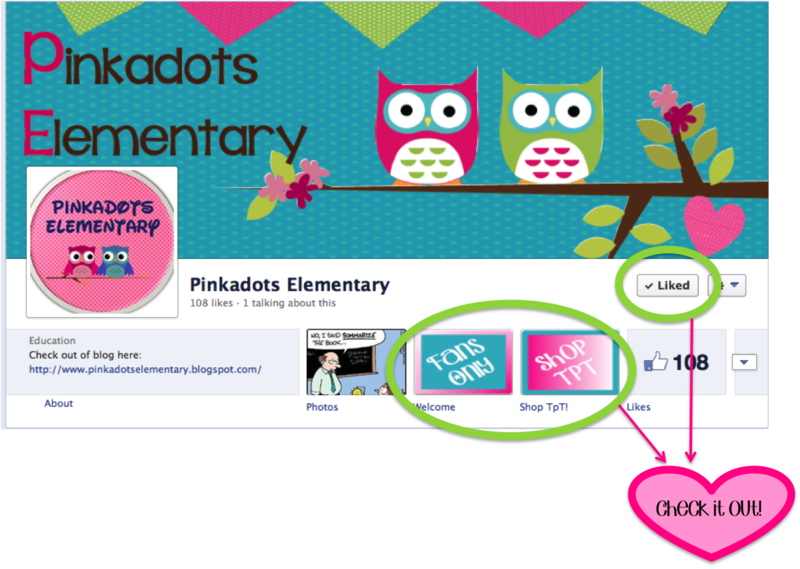 Up for grabs is an adorable welcome banner with matching name tags...BUT you need to like my page to get it! I will put it up in TpT shortly. Thanks to each and everyone one of you. I can't believe how much I've come to love blogging, how much I've learning from all of my online friends, and I am excited for the future. If you haven't already clicked the "Follow on Bloglovin'" button, please do so on the top right of the page. This will allow you to keep reading my blog! Want to know a secret??? If you've read up to here already, I think you deserve to know...TOMORROW I am going to participate in a linky leading to some great prizes! !